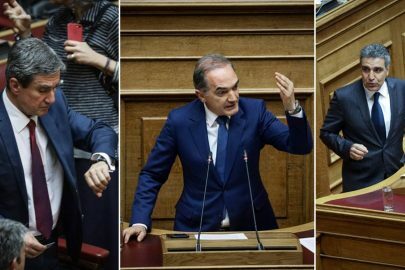 The appointment of ANEL (Independent Greeks party) MP Dimitris Kammenos as Deputy Minister for Infrastructure, Transport and Networks by PM Alexis Tsipras has caused an uproar in the Greek political scene, which spread to social media, as the right-wing populist politician is associated with circulating anti-Semitic comments and conspiracy theories. 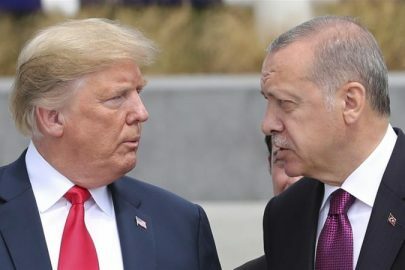 In July he posted a photo on Facebook comparing the EU with the WW2 Auschwitz concentration camp, replacing the name of the camp with the words ‘We are staying in Europe’. In an earlier anti-Semitic rant he implied that the Jews were behind the 2001 September 11 terrorist attacks on the World Trade Center. 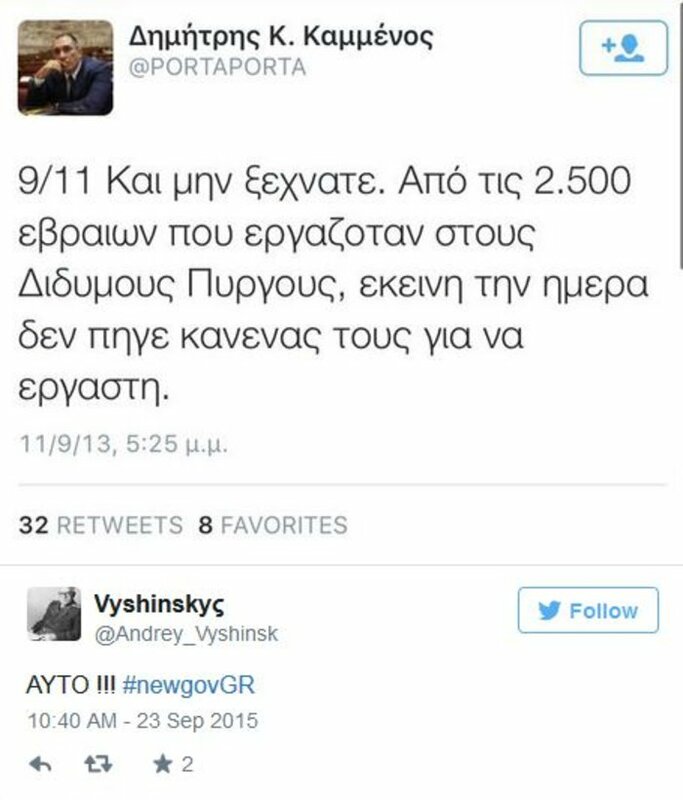 His tweet reads, in Greek: “And let’s not forget that among the 2,500 Jews working at the Twin Towers not one went to work that day”. His twitter and Facebook accounts, which were subsequently closed were riddled with anti-gay and anti-Semitic comments. 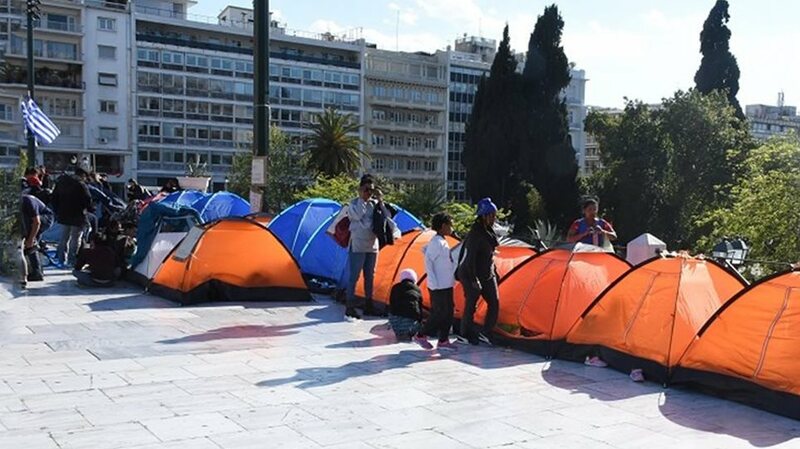 His appointment has caused widespread criticism, even by his SYRIZA government partners. 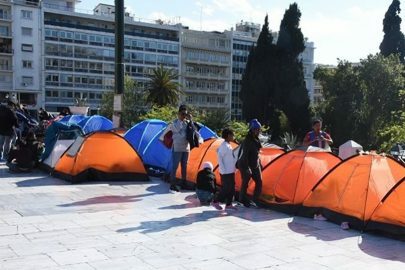 European Parliament Vice-President and MEP Dimitris Papadimoulis tweeted that he supports the government of Tsipras, but was totally against the appointment in a ministerial post of a person with exterme and racist views. 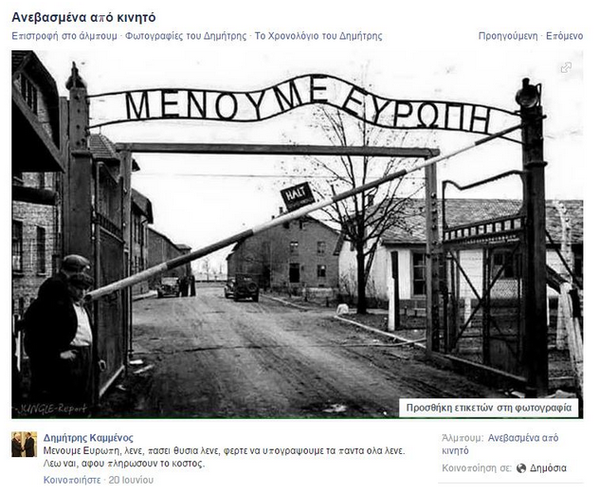 In a statement issued on Wednesday, the the Central Board of Jewish Communities in Greece (KIS) said the post by Dimitris Kammenos last June on Facebook, with the alteration of the photograph of the Auschwitz concentration camp, had caused intense public reactions on the part of political parties and from dozens of public entities. 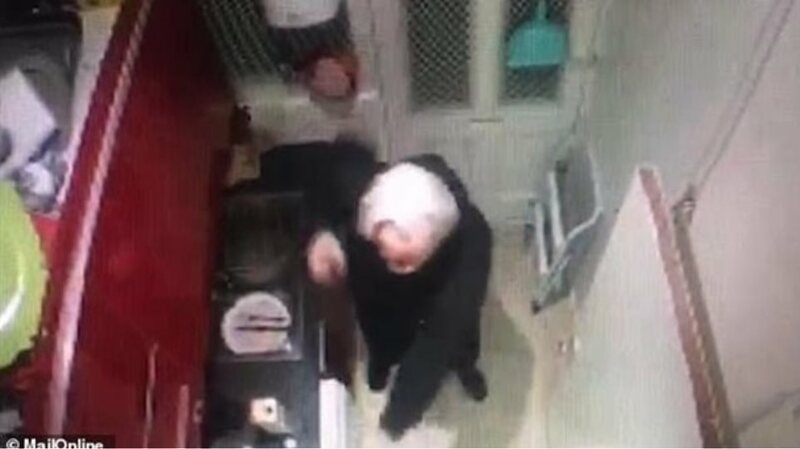 “The Central Board of Jewish Communities in Greece expresses the outrage and the repudiation of the Greek Jewry at the shameful photo posted on facebook by MP Dimitris Kammenos (of the Independent Greeks – ANEL party). The post trivializes in the most hideous way the sign over the gate of Auschwitz. In the photo posted the “We stay in Europe” moto has replaced the world known sign which “welcomed” 1.500.000 Jews who were tortured and exterminated by the Nazis in the gas chambers. Meanwhile, the leader of the Potami (River) party released a statement accusing Tsipras of making a political mistake by making a ‘homophobic’ and ‘racist’ person a minister. After the furor caused, Kammenos issued a statement trying to distance himself from the racist and homophobic posts, claiming he had 15 people managing his social media accounts, while his profile had been hacked repeatedly in the past.